The plant-based burger "bleeds" beet juice. 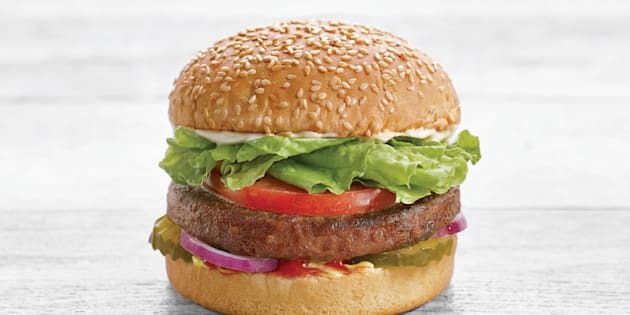 An image of an A&W Beyond Meat burger, provided by the company. The company, whose investors include Bill Gates and Leonardo DiCaprio, makes its Beyond Meat burger with beets to mimic beef's red colouring, and coconut oil and potato starch to give it a similar juiciness and chew. A&W says it is the first national burger chain to bring the plant-based burger to Canadian customers and Beyond Meat's largest restaurant partner.